Company is engaged in Providing consultancy to clients want to buy or sell residential and commercial properties. Company also provides home loan services from different banks. Delhi Haridwar Highway developing very fast. Development from Roorkey to Haridwar is on fast pace. Main attraction of this highway is Baba Ramdev's Patanjali Yogpeeth which is acting as a catalyst for development of surrounding area. Many developers has launched their project on this highway because they know the future appreciation will be better than any other city of India. If anyone planning to invest in this region I suggest them to invest as soon as possible because Circle rates of this region is going to be increased by 300-400 % by March 2018. Sector-16 of Greater Noida West is Located only 500 metres away from 130 metres road and Proposed Metro Station. Schools, Shopping Malls all are present in the sector. All societies in the sector are nearing to completion. NCR Auriel Towne is a very good project for investment because It is RERA Approved, 4 side open plot, IGBC Certified and most important it has very good location. 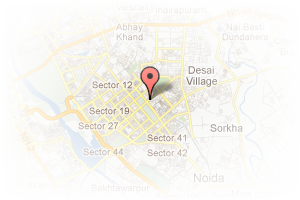 Sector-143 B is located on 4th Exit of Noida-Greater Noida Expressway. Proposed Metro station is also coming on this location. Within 2 km ISBT of Noida is also coming. 8 MNC companies are already operational in this sector. Lotus Parkk Green is first project in Noida Extension which provide low cost in Low Rise society. This project is approved from State Bank Of India. This project is three side open with lush green inside the society. Valencia Homes is a Project developed by Havelia Group and Civitech Group on main Surajpur Road at Greater Noida West. This project is 3 side open and lush green open space inside. Developer is committed for timely possession. Address: B-20, 3rd Floor, Sector 67, Noida, Uttar Pradesh, India. 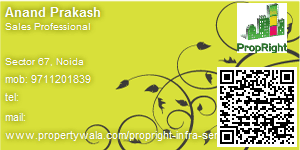 This Broker Profile page for "Propright Infra Services Pvt Ltd" has been created by PropertyWala.com. "Propright Infra Services Pvt Ltd" is not endorsed by or affiliated with PropertyWala.com. For questions regarding Broker Profiles on PropertyWala.com please contact us.